Adept Fireplaces are the experts to call when you require fireplace installations within the area. We are installers only but can provide completely FREE surveys at your request. 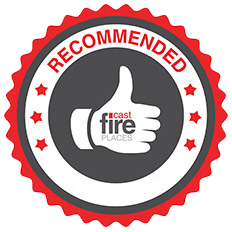 You will be pleased to know that we will also talk you through design, measurements and fitting space for your fireplace, helping with various recommendations too. Here at Adept Fireplaces we strive to be as flexible as possible to meet our individual client’s needs, whether this means timing, point of installation or design, we will always work around you, for you. We have over 20 years of experience in fitting a wide range of fireplaces in a selection of materials such as granite, wood, marble, sandstone or even limestone. Our small but capable team provide the highest quality fireplace installation service possible – but how do we know this? With 20 plus years of experience and many returning customers – that’s how we know! We are also fully insured for public liability. Once you have chosen your fireplace or surround, you can contact us here at Adept Fireplaces and we will carry out an initial assessment and provide you with advice on what work is required in order to install your fireplace. Both parties will then agree on what work will be needed and the cost, arranging a date and time that suits you. Please be aware that incorrect fireplace installations can be extremely dangerous, as well as quashing any insurance cover you have on your property, in turn creating serious problems further down the line. Everybody has different tastes and preferences, whether you are looking for striking granite, limestone, marble, solid timber, luxury stone or you would like to discuss bespoke fireplaces for your home, our vast range of recommendations will inspire you. Call us today on 01256 462 570.